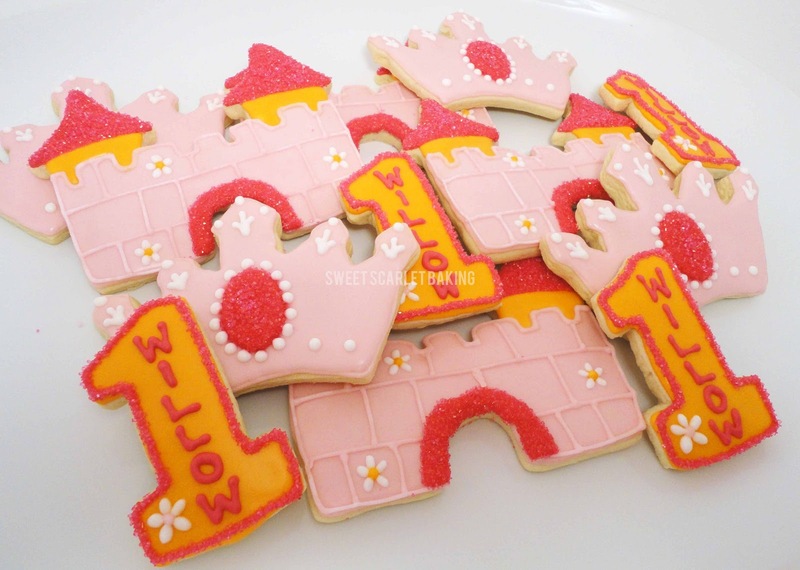 Sweet Scarlet Baking: The Princess is One! 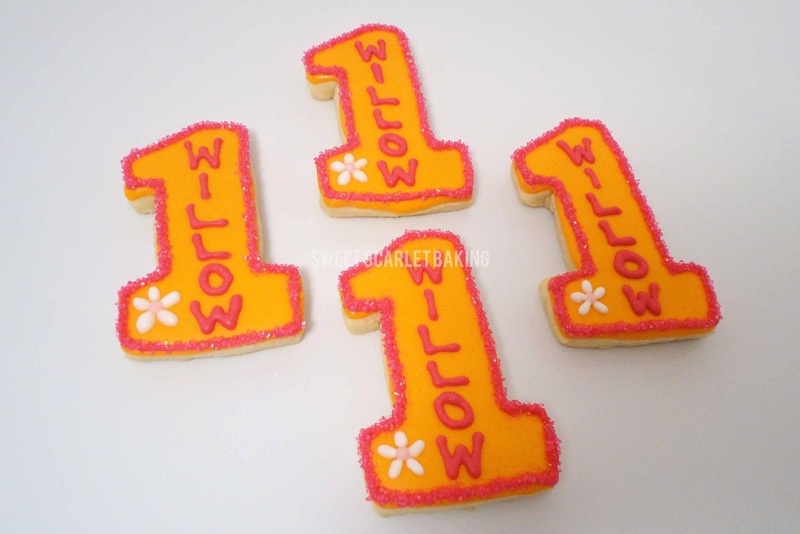 My customer asked me to design decorated sugar cookies for her daughter's first birthday party. She wanted a princess theme with a crown, a castle and the number 1. My customer had ordered these party printables by Resa Design LLC on Etsy, so I used them for my color inspiration. 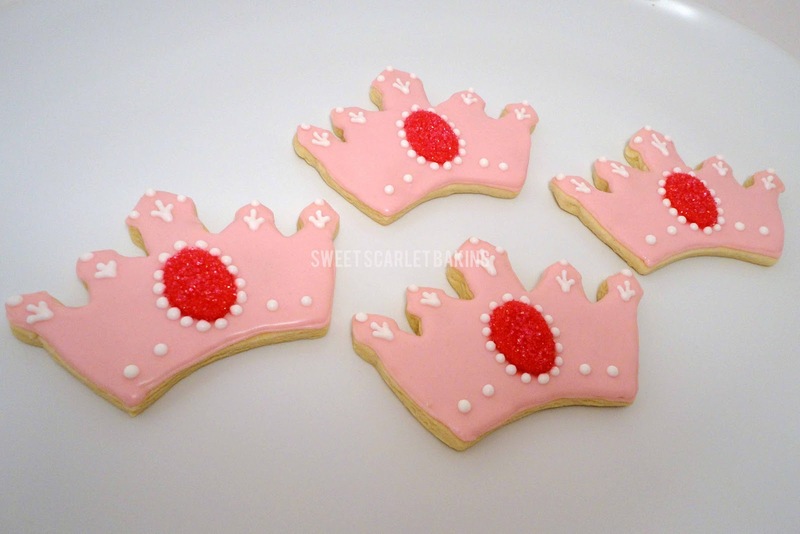 Aren't they so cute! 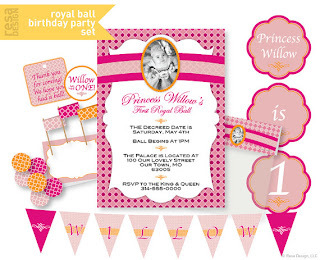 I am a big fan of Resa Design. She designed my beautiful logo and website. She is also an awesome photographer and does all of my family photography. Princess Crown inspired by Ruth Black. 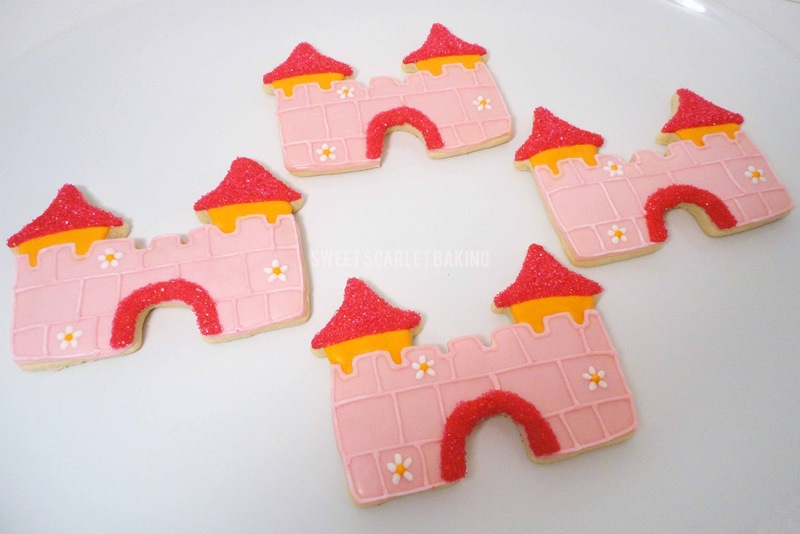 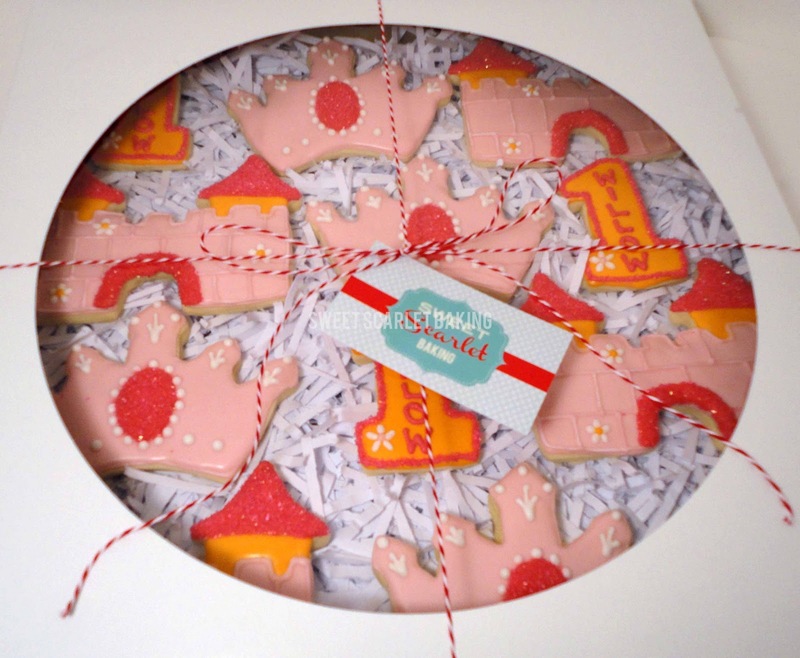 Princess Castle inspired by Kasteel Cookies.